The city of Hyderabad is located in the southern state of Telangana. The city is one of the most developed regions in the whole country with an appreciable advancement in technology and industry. Hyderabad has a wide range of tourist destinations and a number of upscale restaurants serving the special Hyderabadi cuisines. The city also encompasses some of the most historic landmarks and buildings of the ancient times. The Golconda Fort of Hyderabad is an interesting place as it was previously the dynastic Capital of Qutb Shahi. Furthermore, the Chaar Minar is another monumental mosque constructed in the 16th century. The Mosque is worth visiting as it provides the guests with the display of the historic architecture and designs. Hyderabad showcases the historic and precious artifacts and antiquities through the Museums of the city. The famous Museums situated in the city are Salar Jung Museum, the Birla Museum, the Nizam Museum, and Nehru Centenary Tribal Museum. Moreover, the city is also referred to as the Pearl city because of its precious and antique destinations such as Laad Baazar, Mecca Masjid, Golconda Fort, the mosques in Qutb Shahi. The popular destinations such as Nehru Zoological Park, the Chow Mohalla Palace, and the Mrugavani National Park are also the pride of the city with a massive provision of amusement and adventure. 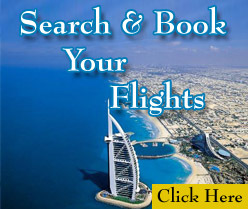 We at TravelWideFlights are providing the customers with cheap flight deals to Hyderabad with proper guidance and assistance on the travel plans. 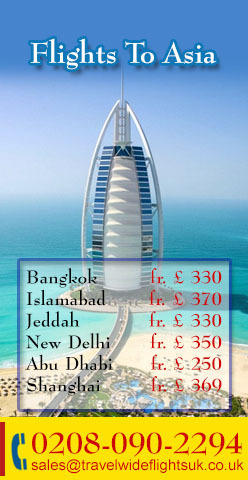 We are also offering the clients with booking and reservations in the most luxury hotels of the city. The clients can travel with the most popular Airlines of the world including Air France, Air India, Jet Airways, and Qatar Airways. Contact us for further details.